Welcome to the Unique Boutique! 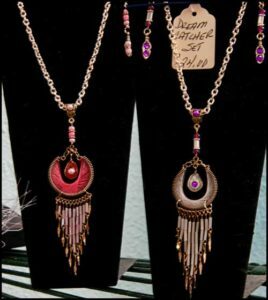 Phone: (503) 390–7441, ask to be transferred to the Boutique. 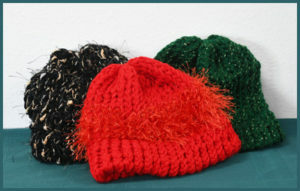 We sell handcrafted items made by some of our members on a consignment basis, as well as donated useful and gift items. From time to time, we have special sales and events planned, as well as one day silent auctions! 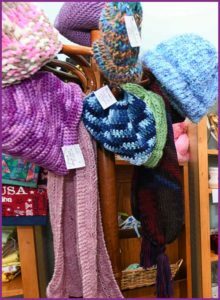 We do try to give advance notice in the monthly bulletin, but on occasion, it is a spontaneous sale, or one that is advertised at the Saturday pancake breakfast. Be watching for these ! You may call to request a photo of any item that we sell to be texted to your phone for your convenience. 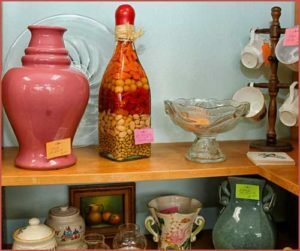 Interested in Consigning or donating items? 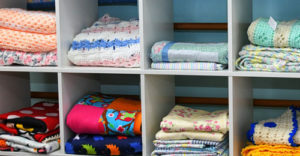 Consigning and donating of items for the shop are preferably done by appointment. 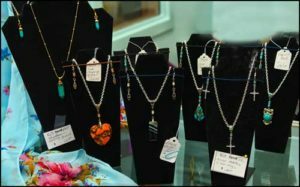 If you are interested in either consigning or donating, please call 503 390 7441, ask for the gift shop manager ( Dianne ) for more information or to set an appointment. 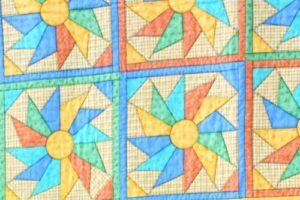 Purses, Aprons, Potholders, Tea Towels, Throws, Baby Sets, Walking Sticks, Fishing Lures, Stained Glass, Hand Painted Plates, Art Books, Journals, and of course Handmade Cards! 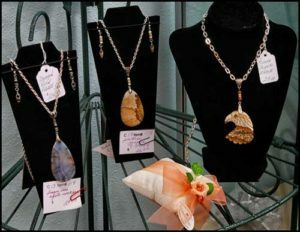 (See below for some of our jewelry...) Stop by and find the treasure you have been looking for! Nothing says Spring like Bunny Rabbits, Chicks and Easter Eggs ! We've got them all at the Gift shop! All the xmas glitter, romantic hearts of valentines, and Shamrocks of St Patrick’s Day, have sold out to make room for Spring Merchandise! 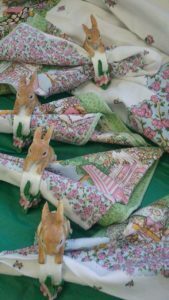 Pictured -- Spring is on the table with this darling tablecloth, napkins and matching bunny napkin rings! -- Just a peek of the fun items donated by our generous members and friends, Thank You ! Our special activity for April will be a planned One Day Silent Auction! The Date will be Friday April 5th from 9am until 12:30 pm. We will have our usual set up on the counters outside the shop, and hopefully enough treasures to add a couple more tables elsewhere in the Lobby! As you know, we always start the bids at a very reasonable low amount of dollars. 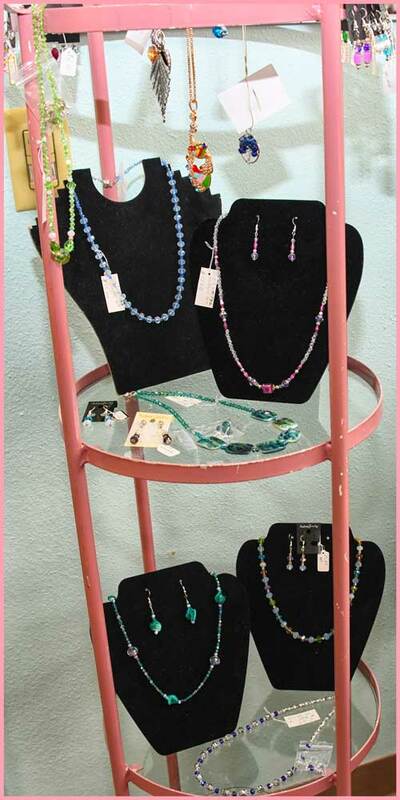 Our May activity in Room 4 will be a "Special Showing" from one of our jewelry consignors. 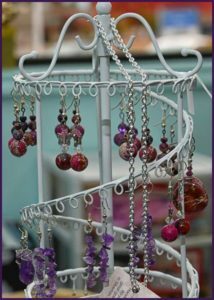 Bob makes a good portion of the lovely jewelry that we sell at the shop. He also sells and designs fantastic fishing lures and equipment! 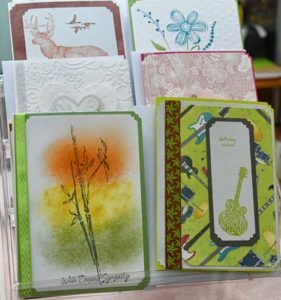 He will have several tables of his unique designs -- much more then what we usually carry in the gift shop! This can be a "couples" shopping adventure ! The date for this event will be Friday May 3rd from 9am until 1pm. Hope to see you at these events as well as any other day at the Unique Boutique!